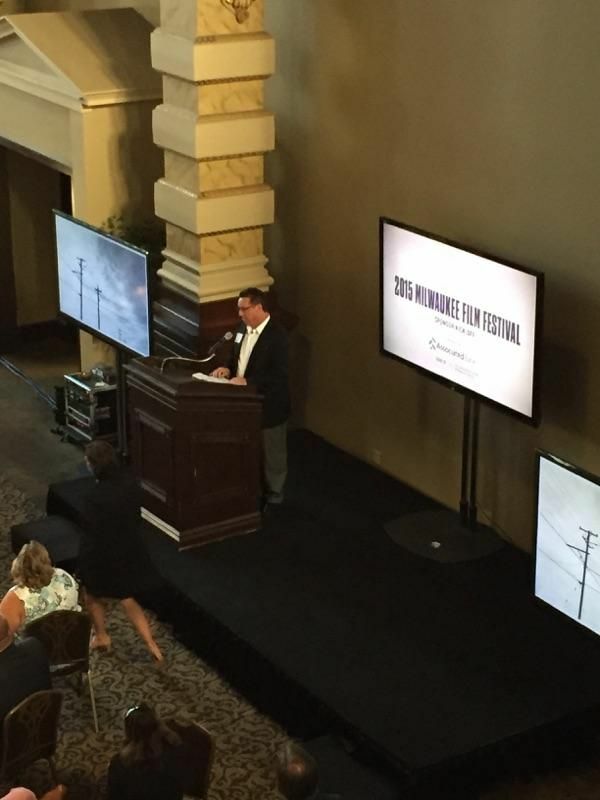 The 7th Annual Milwaukee Film Festival recently held its sponsor kick-off event at the Grain Exchange building on September 3 with comments from its lead sponsor representative, John Utz, executive vice president and head of Corporate Banking and Specialized Financial Services, Associated Bank. As one of the fastest-growing cultural events in the region, the Milwaukee Film Festival provides an incredible opportunity to connect with an ever-expanding and diverse cross section of the community. Advanced ticket sales for the 2015 Milwaukee Film Festival are up 39% over 2014. Over 300 attendees were provided with a VIP experience where they walked across an Associated Bank green carpet through the entrance. Staff members of the event were also present with iPads to capture photos, print them onsite and provide them in an Associated Bank frame for guests to take home. Through sponsorship, the festival continues to engage with the city by providing entertainment and education. This year the festival raised a combined $2,400,000 in cash, goods, and services. Associated Bank’s lead sponsorship of the Milwaukee Film Festival highlights its continuing commitment to the greater Milwaukee community. The Bank’s long-term record of non-profit board involvement and support of the arts are tangible evidence of its allegiance to this outstanding city.